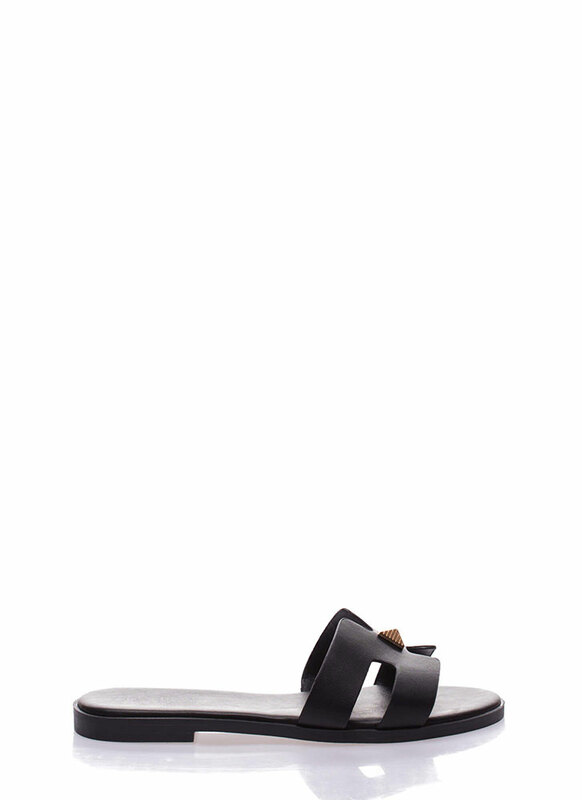 We like our shoes how we like our guys -- they gotta have a cute accent. 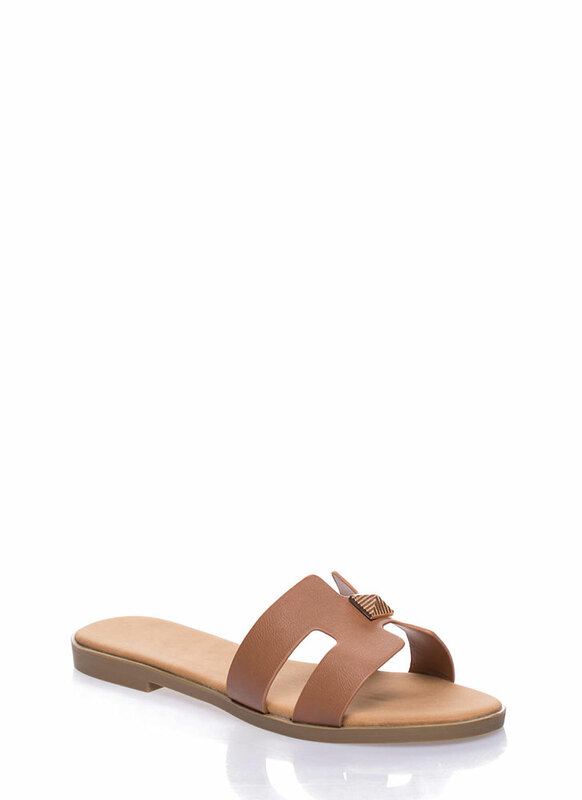 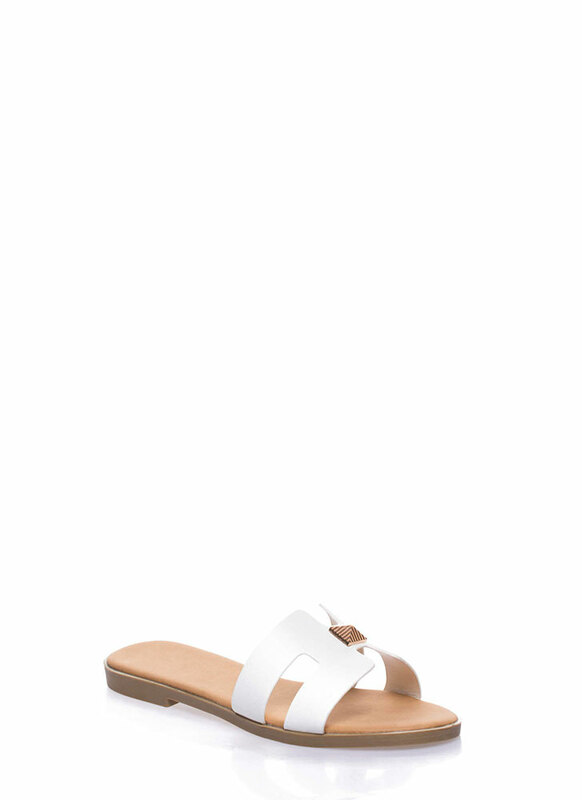 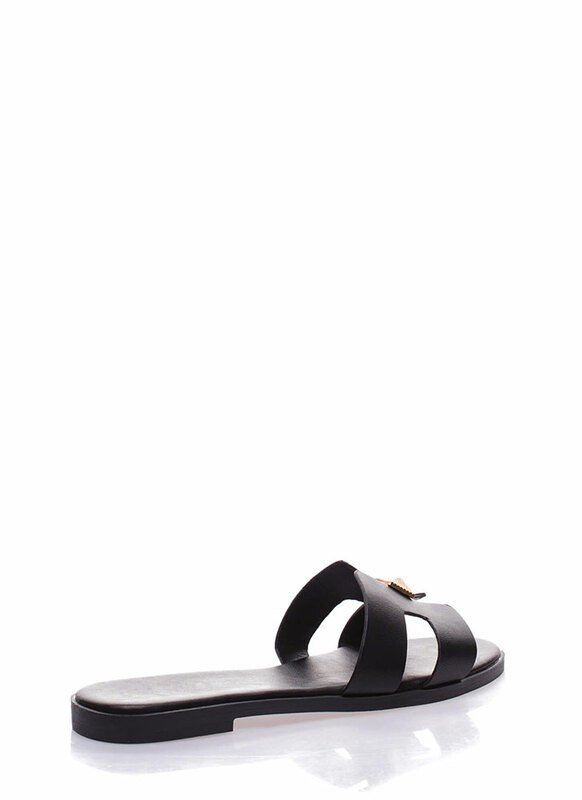 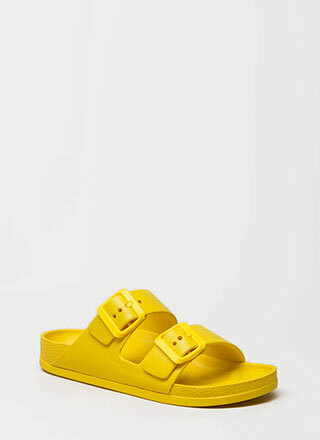 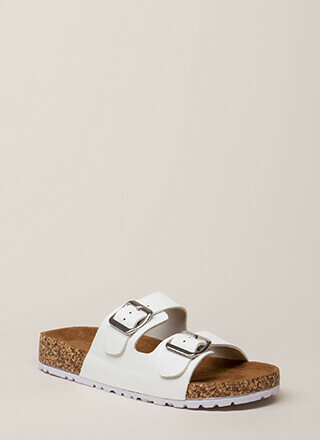 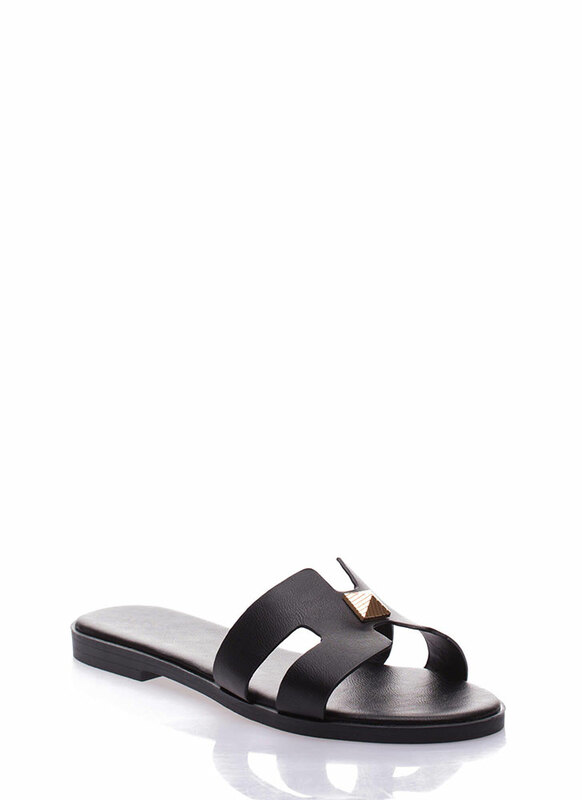 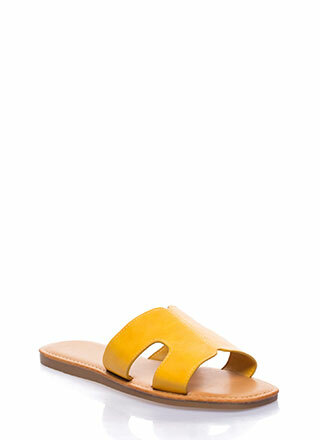 Open-toe vegan leather slide sandals feature a wide cut-out toe panel with a square pyramid accent. Shoes are finished with a ridged sole and no closures.